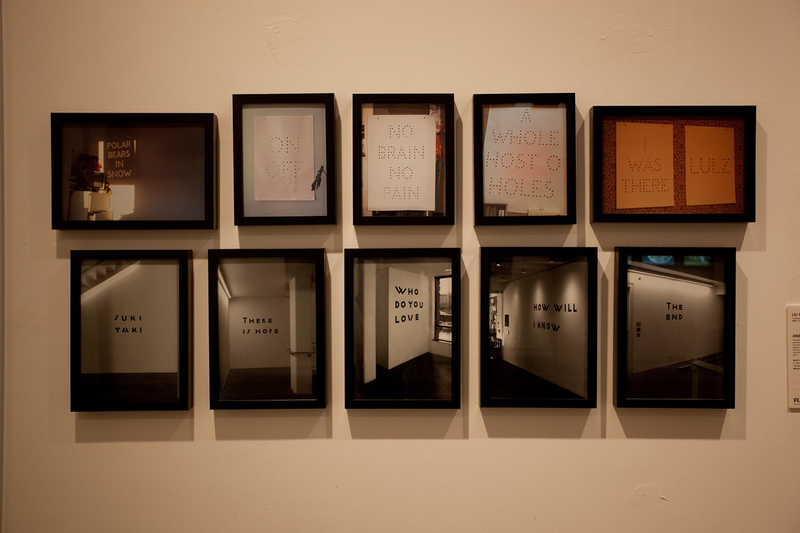 It is not unjustifiable to say, ‘an exhibition is a carrier of visual art’. In fact, early museum were called the ‘Cabinets of Curiosities’. It emerged in Renaissance Europe, when travel around the world was not possible for common people. Wealthy individuals and families collected exotic treasures, curious natural objects, work of art and antiquities. These private collections were often displayed in a cabinet or filled in the entire room, which contributes to the future display method of museum’s exhibition. As the collection was rare, it was mostly placed in glass cases where touch is forbidden. Since the early 18th century, Académie des Beaux-Arts began to hold event for its graduates named ‘Paris Salon’. The name came from its first event location, Louvre’s Salon Carre in this exhibition paintings were displayed and covered the exhibition rooms from the ceiling to the wall and down to the floor. Connoisseurs believed that artworks displayed in dense, symmetrical arrangements allowed a better visual comparison of styles. Salons would not serve as a trading platform, but to provide information under each artwork that allowed visitors to contact the artists, which began the popular usage of the caption card in visual art exhibitions. 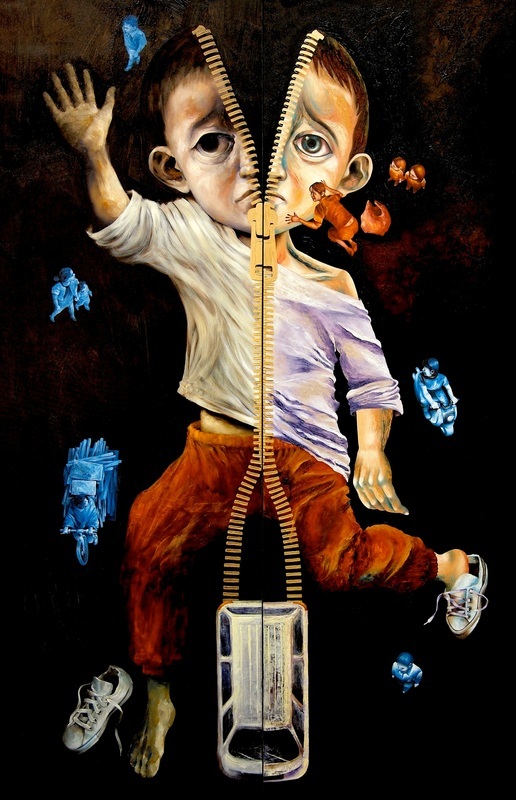 In the history of art display, artists and viewers communicate with each other using visual elements to share mutual understanding and enjoyment. 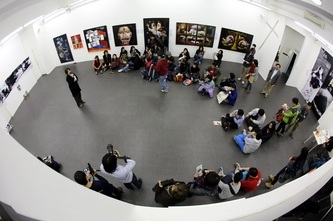 In contemporary art, participatory art begins to emphasize the interaction with participants which would influence the development of the work. It sometimes requires using our whole body to experience, but visual is still primary. 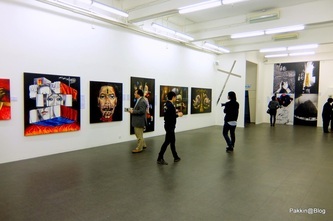 Like most visual arts exhibitions, the past four touch art festivals were held in a white cube space. 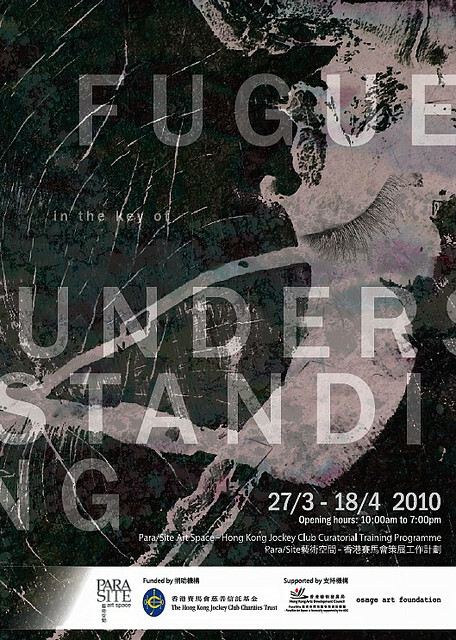 The artworks were all rich in sensory. 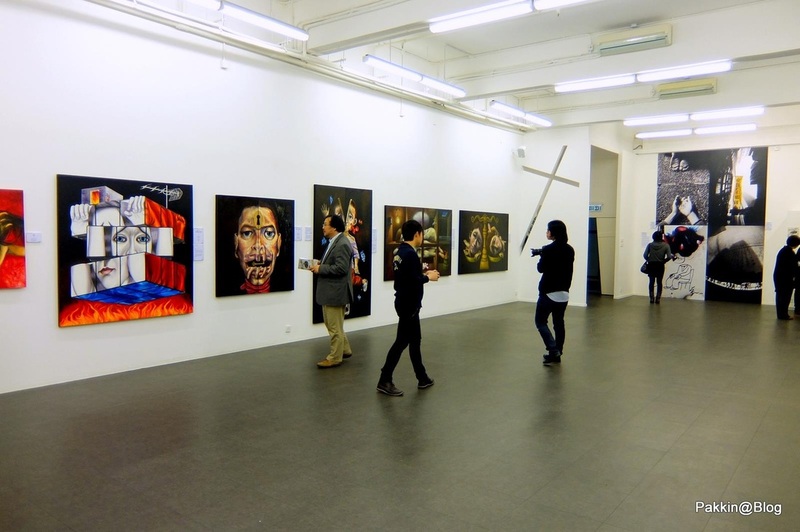 We encouraged the visitors to touch all the artworks. 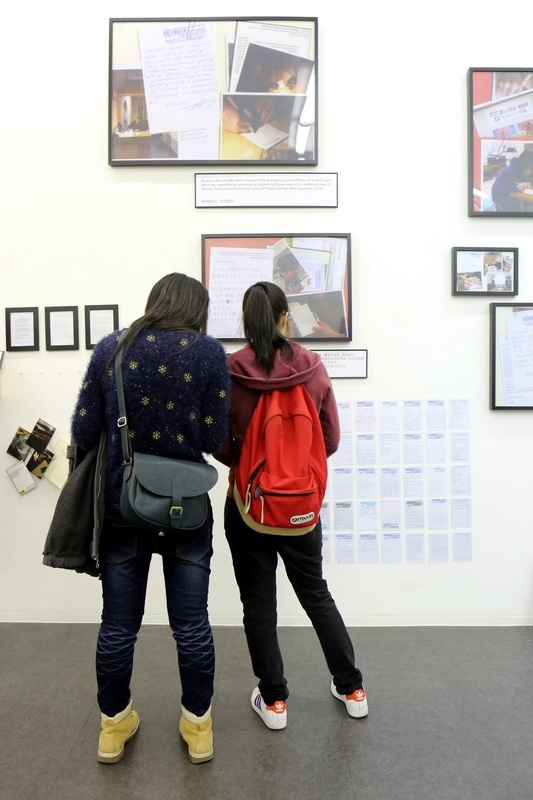 The visually impaired can also enjoy the exhibition. However, it is generally difficult for sighted people to avoid using visual appreciation and judgments before reaching out to touch the artworks. Sighted visitors were, more or less, attracted towards visual representation. For the first time, the 5th Hong Kong Touch Art Festival runs outside Shek Kip Mei to a rectangular space under the flyover at Ngau Tau Kok. Participants will be asked to blindfold themselves and be led by a visually impaired docent to experience this year’s touch art journey. 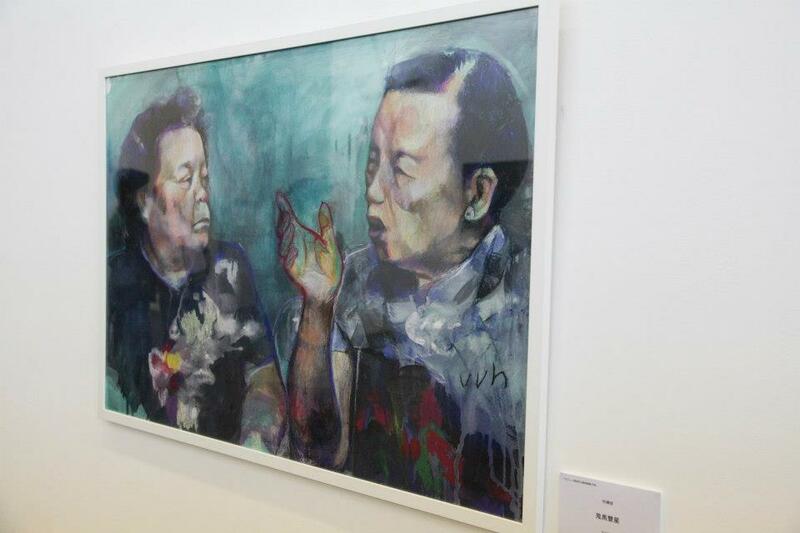 There are 10 creative units consisted of visually impaired artists and sighted artists. Their artworks are about the indispensable five elements in life: water, breathing, food, temperature and relationships. Cheung Kai Fu, Lai Chun Ling and Yiu Kwan Ho formed the ‘Economical Union of Three’. Their work "Dinner Gathering" is a sound installation and a round dinning table with a lazy Susan tabletop. In the sound clip, you are asked to pick up pieces of food with the chopsticks but not allowed to eat them. Their work allows participants to further experience the difficulty of the visually impaired dining in a bustling noisy environment in a humorous way. Inspired by the capsule toy machine from childhood memory, Mei-mei Yim and Blanche Ho's installation ‘Tips of the Tongue’ invites participants to randomly draw small pieces of natural flavored candy and let their taste buds bring up different memories. ‘Tales of the Red River Village’ is an elongated pool where Little Star and Brandon Chan invite participants to dip their hands into the pool to feel the flow of water, to find the many forgotten dreams and hazy memories resonant to the objects. When you touch relief sculpture of Peter Chang and Terence Leung’s ‘Memoir In The Air’, you will smell rich aroma of herbs. 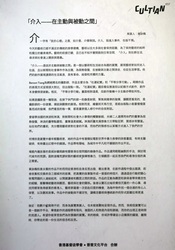 The embossment is enlarged blind drawings they did together with the shell of Chinese tea egg. Your fingers might carry the aroma afterwards. 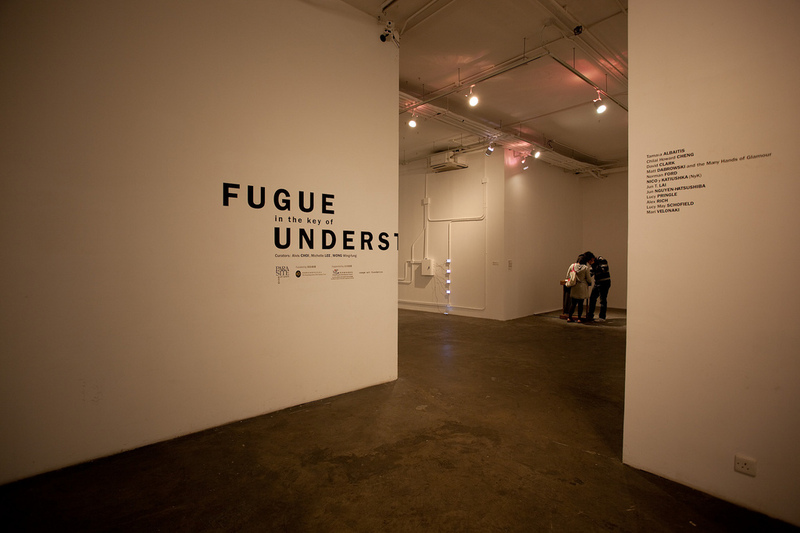 A sculpted tunnel-like space is another installation called "Free Air." Comma and Yin-Lun Chan attempt to have participants walk down the tunnel with a change of size of space, airflow and humidity, which allows participants a tactile experience of finding their breathing rhythms in our ever-changing life. Nicole Ching and Yukko Chan both have profound memories of sharing blanket with their brothers and sisters in their childhood. 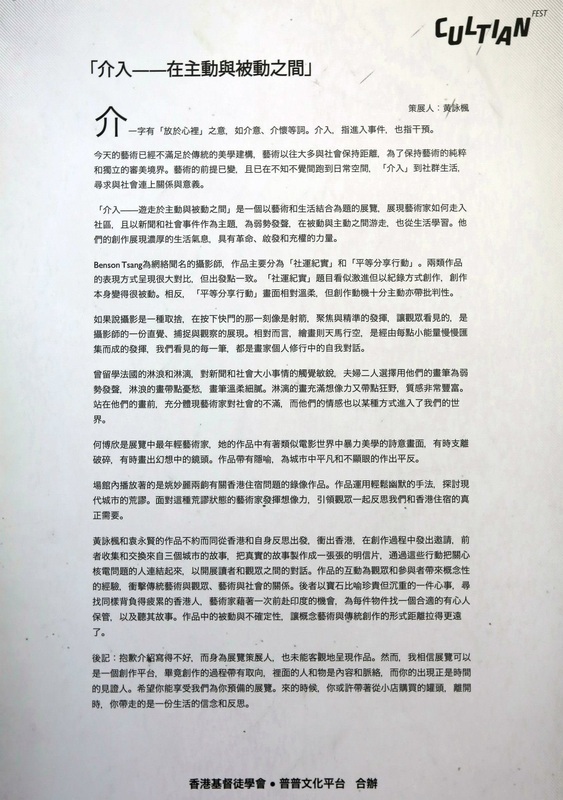 “The Temperature of the Bed” is a swollen blanket blowing up with a fan, inviting participants to tap on the inflated blanket from the outside or sit in and feel the cool breeze. 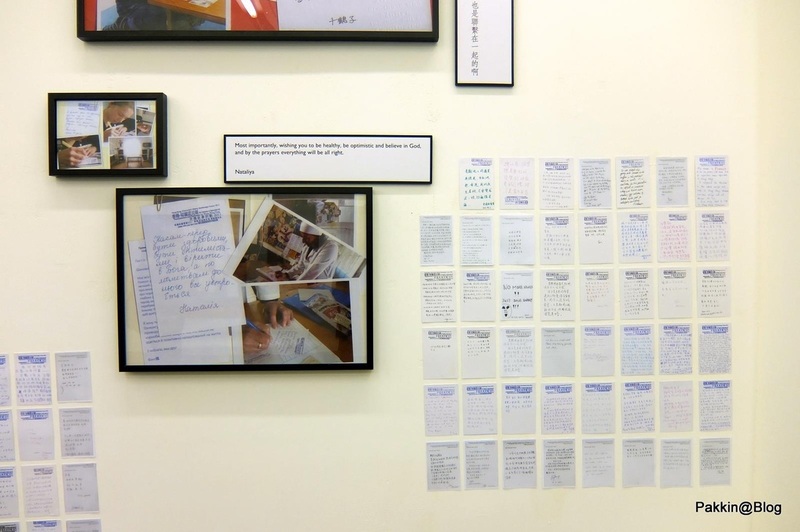 When you touch Stephanie Lam and Evelyna Liang’s work, you can feel the temperature fluctuates with more than a dozen of stuffed woven gloves to bring you memories of the temperature experiences in life. Touch is the most direct expression of care between humans. Dawn Wong and Wong Fung Chi created ‘Touch’ featuring sculptures of hand gesture to give participants feelings of different body temperatures and skin textures that you can associate with. 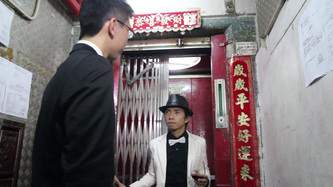 Ivan Tang and Thomas Yuen feature many boxes. Each box has a different object and a sound clip in it. 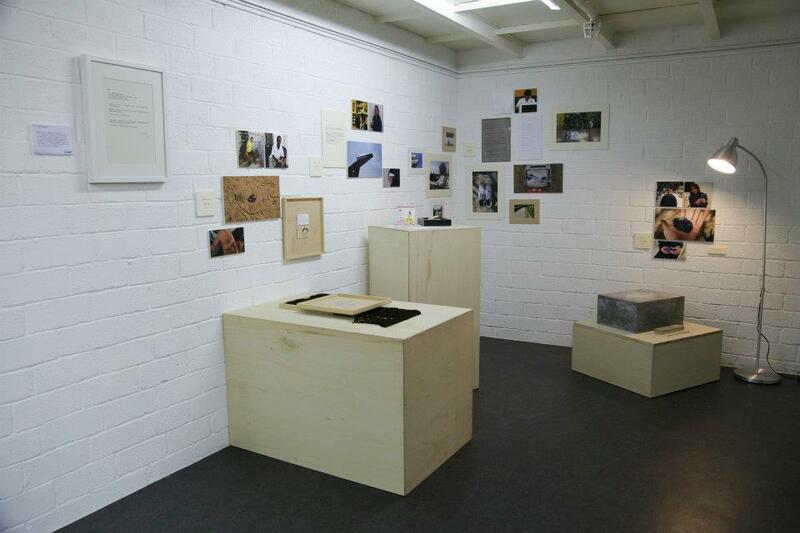 Each box is like a small fragment of life, and the many small fragments put together made them who they are today. An isolated single bed with custom tactile bed sheet and sleepless sound is the work of Clayton Lo and Ricky Yeung. 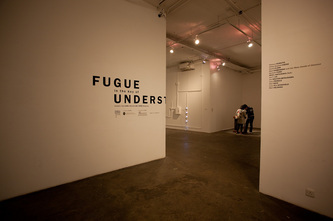 The installation encourages participants to free their imagination through sensations and think about the relationship of falling asleep and oneself. 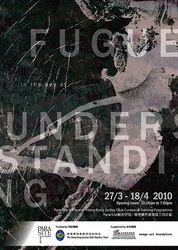 I hope that in this dark tactile journey, we can put aside boundaries of visual art and visuality. Try our best to touch with our heart and experience all kinds of emotions with natural-born sensory and explore more profound experience though touch in everyday life. Art has the power to ‘touch’ people's heart. When we encounter an artwork, our thoughts and feelings are affected by it and good ones always touch our heart. 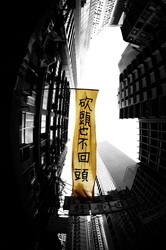 In the era of visually dominating world, mankind has been focus using visual to receive, convey and to learn. It is very rare for us to explore other senses, which are inherent in every human being. For instant, when we see a falling leaf, we will immediately think of fall is coming soon; when we see the color red, we might recall Christmas or a celebration moment. Our taste sensory is also active, it is easy for us to recall a memory when we eat something familiar. How about our memory of touch? The tactile feel of everyday life for blind people play an important role and therefore developed a higher sensitivity. What is your most profound memory of touch? Can we perhaps have more imagination though touching artwork? 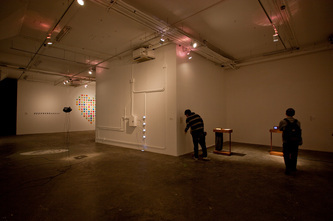 The Third Touch Art Festival exhibition focuses on our physical experience through touch and even hearing sensations. 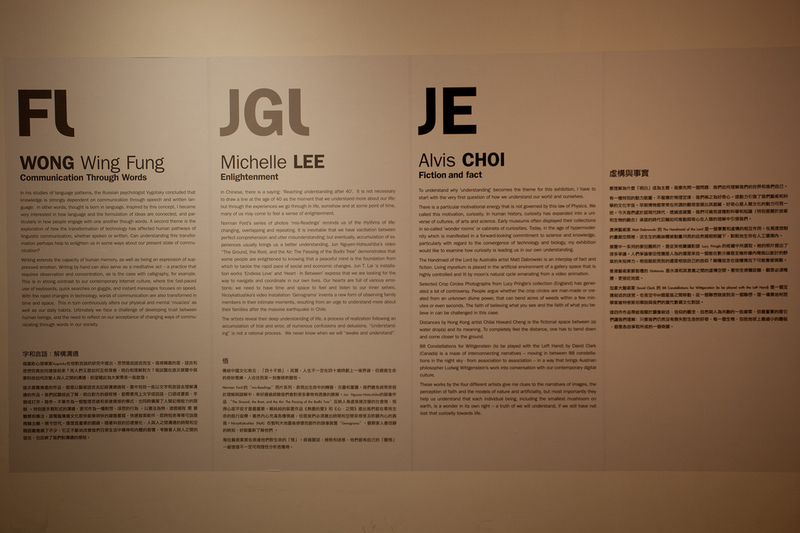 This year we partnered with JCCAC Festival, exhibiting various kinds of artworks in both L0 and L1 gallery. You will find artworks in different interesting shapes and many that are rich in texture; also works that show new interpretation with three-dimensional artworks that are originally two-dimensional; artworks created by artists and visually impaired individuals; interactive experience works that you can walk in or operate by yourself; artworks created by the community in our touch art workshops and touch dance workshop. We also invited numbers of visually impaired individuals to describe a selection of the exhibits and tell us how they feel about the works by describing them. In this way, the public can enjoy the exhibits from other angles and stimulate imagination. 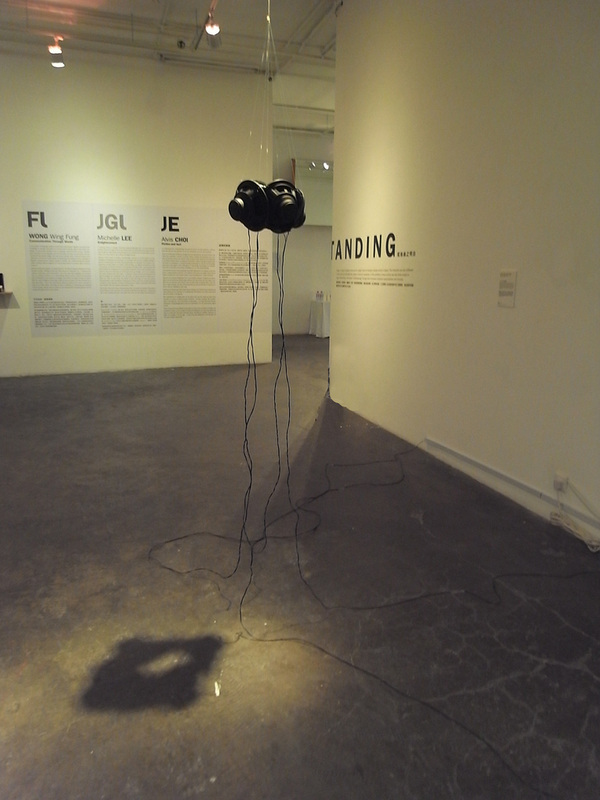 We are very please to let you know that all the artworks we exhibit in the show this year has audio description service. Publics can borrow a sound device from the reception desk or listen online though a QR code. Let’s start a visual-less journey and devote full efforts into touch and sound sensation. In his studies of language patterns, the Russian psychologist Vygotsky concluded that knowledge is strongly dependent on communication through speech and written language: in other words, thought is born in language. 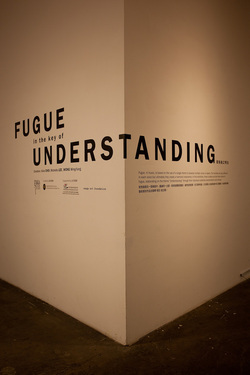 Inspired by this concept, I became very interested in how language and the formulation of ideas are connected, and particularly in how people engage with one another though words. A second theme is the exploration of how the transformation of technology has affected human pathways of linguistic communication, whether spoken or written. Can understanding this transformation perhaps help to enlighten us in some ways about our present state of communication? Writing extends the capacity of human memory, as well as being an expression of suppressed emotion. 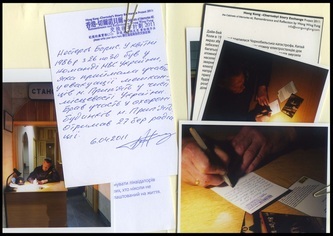 Writing by hand can also serve as a meditative act – a practice that requires observation and concentration, as is the case with calligraphy, for example. This is in strong contrast to our contemporary Internet culture, where the fast-paced use of keyboards, quick searches on google, and instant messages focuses on speed. With the rapid changes in technology, words of communication are also transformed in time and space. This in turn continuously alters our physical and mental ‘muscles’ as well as our daily habits. Ultimately we face a challenge of developing trust between human beings, and the need to reflect on our acceptance of changing ways of communicating through words in our society. 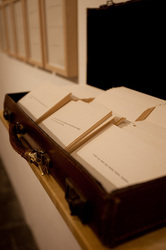 British artist Lucy May Schofield often ‘makes objects to house stories which otherwise may go untold’. ‘Wish you were here’ is a set of 20 letterpress-printed postcards about the sadness of being away. 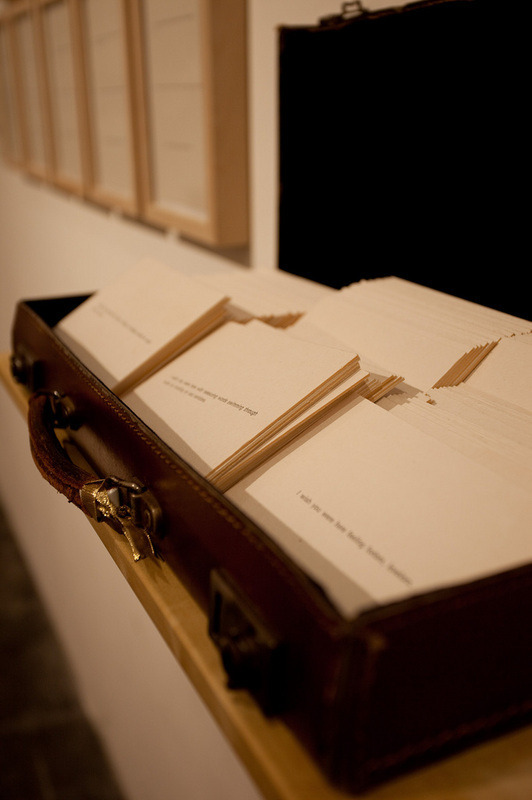 These 20 postcards are each inscribed with a single poetic sentence that begins with the phrase ‘I wish you were here’. 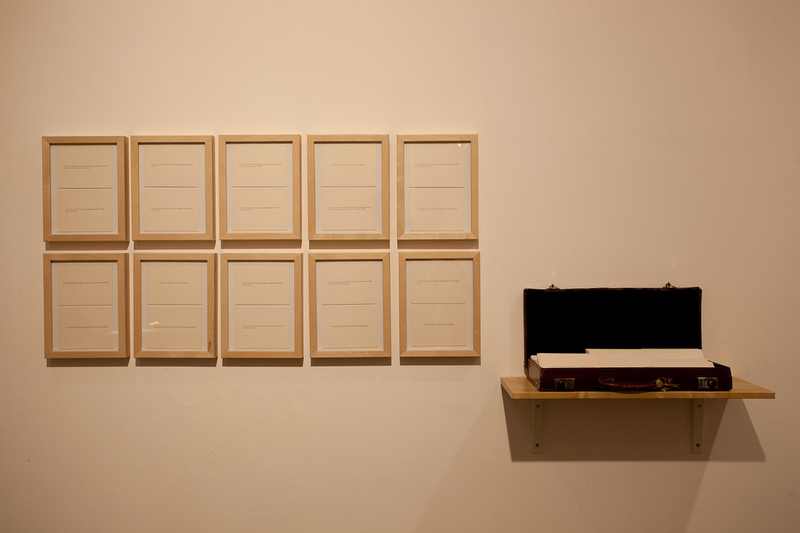 By inscribing these poems using letterpress Schofield formalizes the informal, wistful messages written on trains while she was having a long distance relationship with someone she desired; these words froze her emotions in time. Schofield composed her daily life experience and personal emotion into an artistic practice through these small poems that can be read out loud and understood as hints of a deeper sentiment. When read together, they comprise a narrative poem. Either way, the poems testify to the artist’s passion to communicate, to generate a dialog, and to create a world in which there is time and space enough to read. 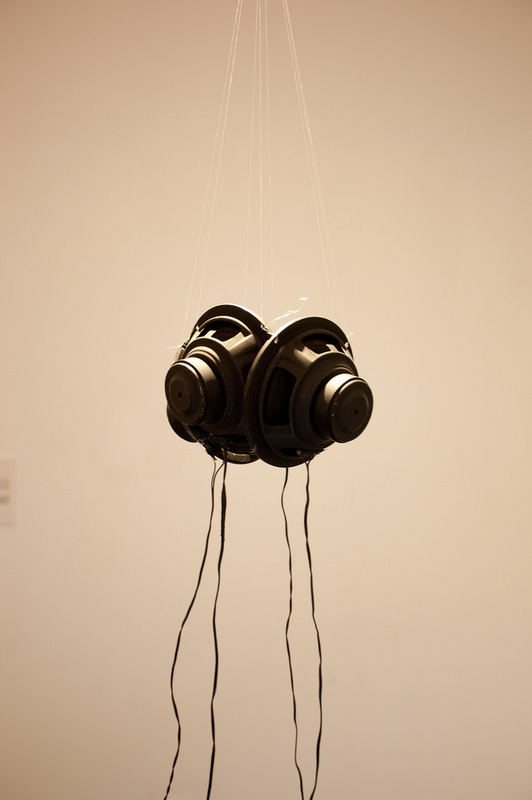 Sound artist Tamara Albaitis’s speaker series ‘Secret’ is a sound installation made with four 7-inch speakers, facing each other to share ‘secrets’. The instant messages reveal communication with a real (or imagined) online audience. As Albaitis said ‘We sit in our homes typing away our deep personal secrets to a friend half a world away. Technology is replacing our actual voices, smiles and hugs’ reflecting the shift in society’s comfort zone and the acceptance of ‘virtual’ intimate communication. 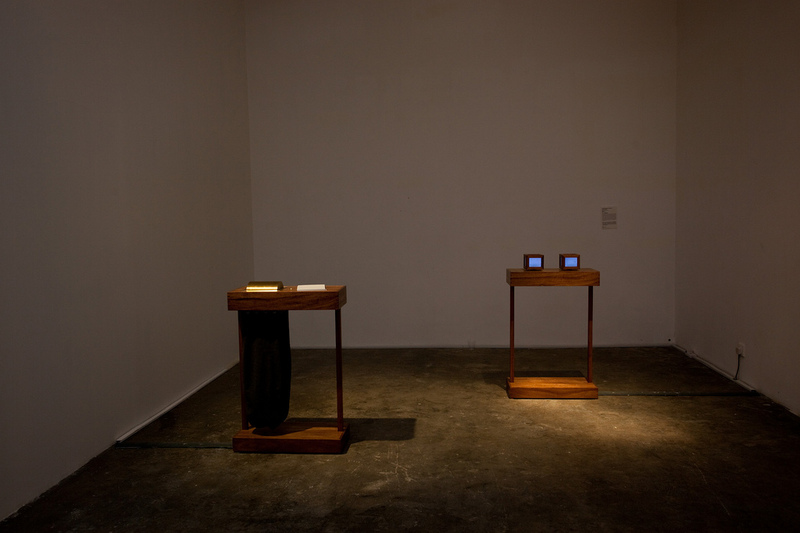 Here the artist tests the boundaries of technology as a medium to communicate things that are very personal, in an impersonal way. 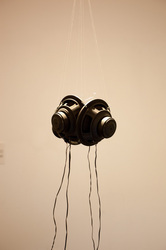 Australia based media artist Mari Velonaki’s Fragile Balances delved possibility on communication between humans and machines that incorporates notions of trust and shared intimacy. Two luminous cube-like objects appear to be floating above the surface of a lacquered wooden structure that perches on impossibly slender legs. Each object is comprised of four crystal screens where ‘handwritten’ text appears, wrapping around it conveying a playful sense of rhythm. The text represents personal messages that flow between two virtual characters, and in that sense each object is a physical embodiment of a character. 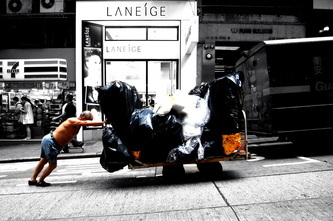 Participants can lift up the objects and handled it freely. The artist playfully challenged us to pause and enter the rhythm of the floating words and the dialogues that they lead to. Informed by Mari’s early involvement in performance art, the devoted passion in communicating with the audience has laid a root in her work. Fragile Balances: Circle D reflects the more complex and beguiling dynamics that have evolved between art, technology and ourselves. 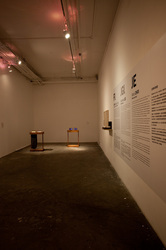 Circle E: Fragile Balances, another wooden table-like object is placed opposite Circle D: Fragile Balances. On the top of the ‘table’ sits a notepad and a pencil. A rotating brass drum is partially sunk into the table. 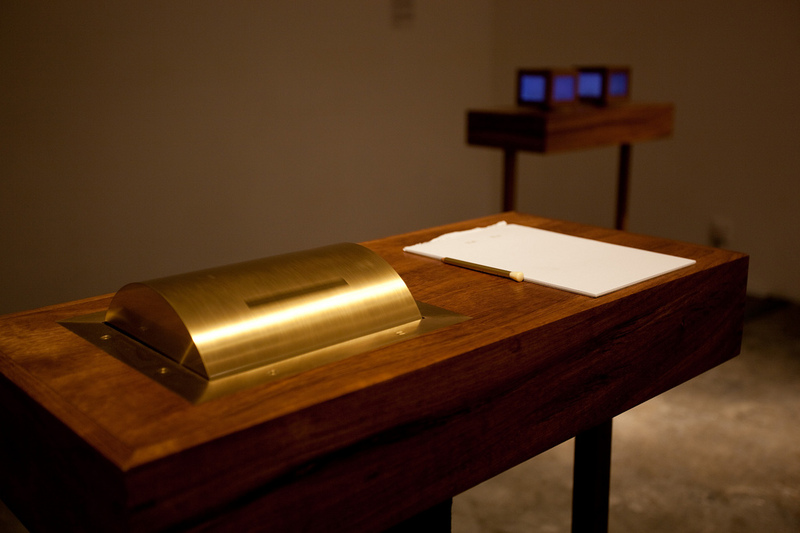 Audience are encouraged to write intimate notes for their loved ones and donate them to the project by feeding them through a slot into the drum when it pauses momentarily. 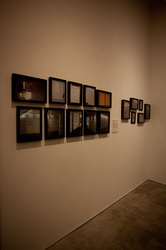 All the intimate letters are scanned and, at a later stage, added as text to the dialogues in the interactive cubes of Circle D: Fragile Balances. 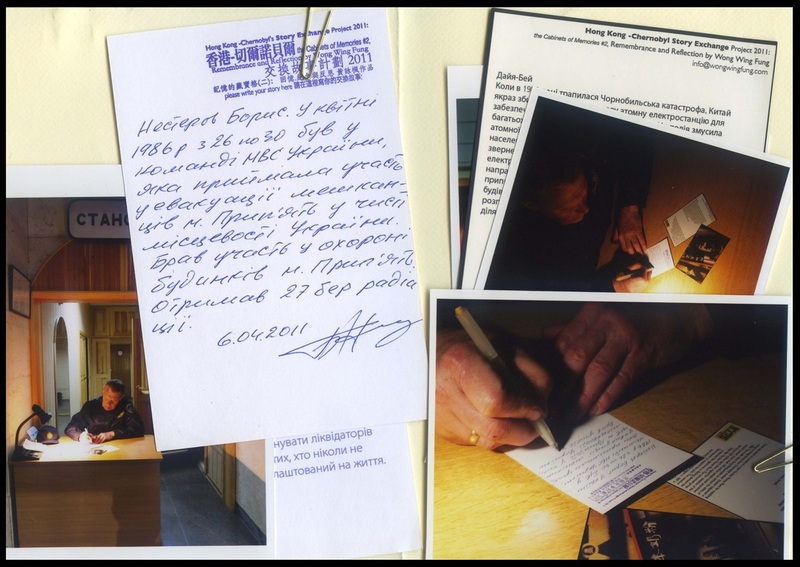 The notes collected in this exhibition will contribute to many coming exhibitions around the world. 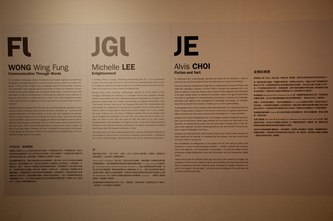 After Hong Kong Station, 'Fragile Balances' are going to Korea, Gyeonggi Museum of Modern Art in September 2010. The exhibition journey ended with Finding Dialogues: A Documentation of Randomly Found Texts. A group of photographic documentation of 'open-ended' dialogues randomly encountered in different places. 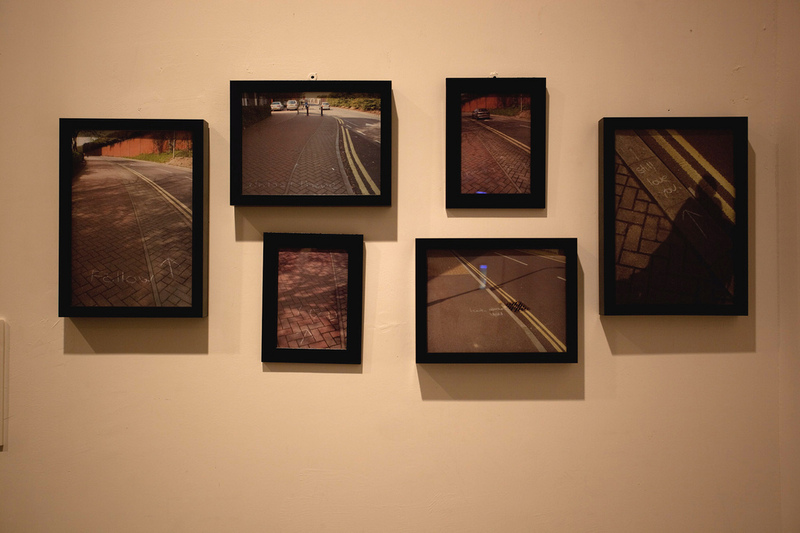 (1) Still Love You, a set of 6 photographic Documentations of floor writing taken in Basingstokes, UK, 2009. These photos are a record of what I found on the street from my walk from a friend’s apartment to the train station in Basingstokes, UK. The words ' Look above you' written with white chalk were seen found on the pavement and drew my attention. As I kept on walking, more signs appeared, so that I realized this text was meant to be read backward from my direction. Someone was leading someone else from the train station to the apartment buildings in the area. It seemed that some surprise was waiting ahead for a lucky person. 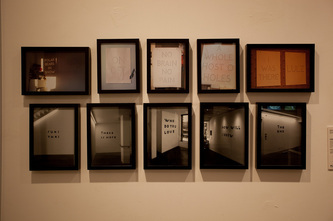 (2) ‘Things To Say’ by Alex Rich is a work of word art, previously shown in Arnolfini Arts centre in Bristol, UK. These wall drawings are carefully designed according to the context and the position in which they appear in a space. Alex played with the magic of words and imagination. 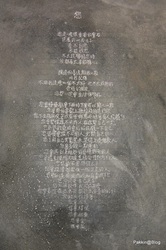 With the hint of the word ‘SUKIYAKI'’-- a name of a famous Japanese song from Sakamoto Kyu--written on the wall of the entrance, the artist allowed audiences to connect the lyrics of Sakamoto's song with their own memories of it. 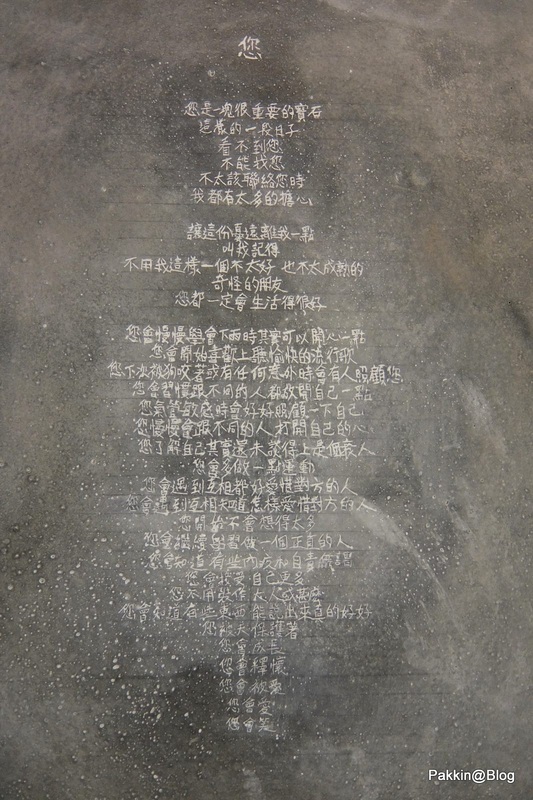 It also opened up a possibility for those who did not know about the song but were curious about these texts, to use their imagination; and to further investigate the wall texts drawn in different places throughout the building. (3) ‘Empty words’ is an interactive installation providing a hole-cutting service that Swiss Designer Jürg Lehni in collaborated with designer Alex Rich. 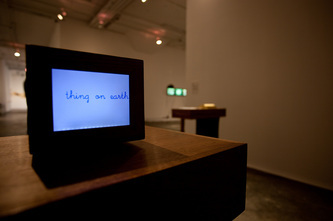 The original interactive piece contain a workstation with a very simple graphic interface that allow visitors to type in their own words, the plotter would punch characters into paper. A performance of command and demand are demonstrated. The use of cutter is one of the tools that have direct relationship to the human hands. 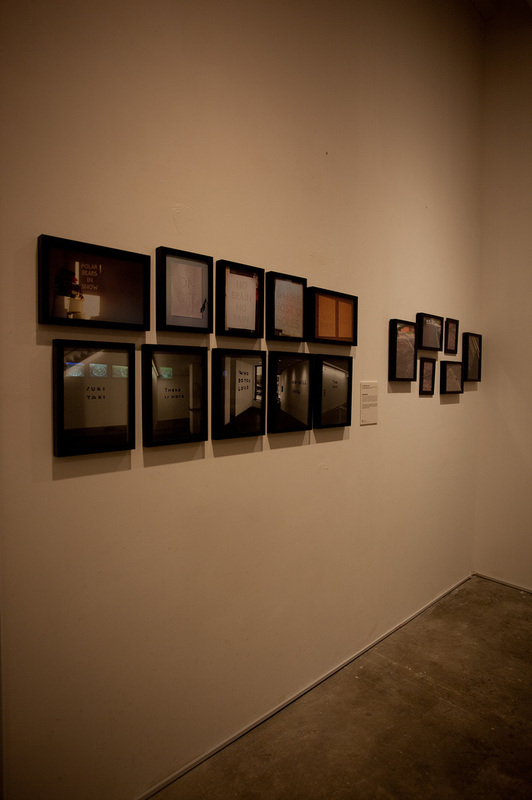 This work playfully addresses the development of printing technology, as well as the interface between machine and human. These Empty Words Posters are a set of 5 photographic Documentations, they are in-situ photographs shows where these posters locate now and taken by the participations who made their own poster in the past exhibitions whom are happy to share them online. These dialogues are examples of in-situ photographs taken or pieces collected by friends and myself, they serve as an open invitation to everyone and anyone to connect. Quote from Lucy May Schofield‘s artist statement.